The Constitutional crisis in Egypt between the Muslim Brotherhood president, Muhammad Morsi, and the thousands of judges in the Egyptian judiciary, according to Amr Moussa, derives from a misplaced desire for revenge on the part of the Brotherhood. Under the regime of Hosni Mubarak, the Brotherhood was only semi-legal, and members were often imprisoned (Morsi himself was). 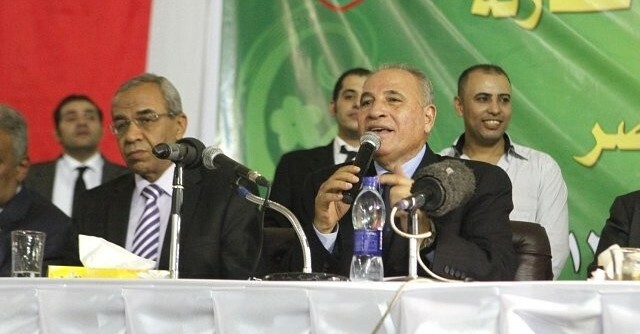 Moussa, a former cabinet member under Mubarak who broke with the regime around 2000 and became secretary general of the Arab League, says it is wrong to think of Mubarak appointees on the bench as mere lackeys of the former regime. Many sought more judicial independence, and often gave Brotherhood members a break, he said. The BBC reports that President Muhammad al-Morsi is attempting to persuade judges there to compromise with him on the issues of hiring and re-hiring. Moussa said that the president’s proposed compromise should have been offered from the very beginning. There is an argument that Morsi, who gained a slim mandate as president last June and operates in the absence of a lower house of parliament (elections are set for October) should just wait until there is a proper government next fall and work with elected representatives on judicial reform. The president had announced that the mandatory retirement age for judges had been changed from 70 to 60 The judges protested that some quarter of sitting judges would thereby be forced out. Then Morsi, they argued, would use the vacancies as as a pretext to stack the courts with Muslim Brotherood judges. The Muslim Brotherhood has long been said to suspect that the judges are Mubarak appointees and that they might like to promote a counter-revolution with their decrees.